KONNER FOX, Kelly Wasacase Jr., was born on March 17th, 2001 in Lethbridge, AB and on July 22nd, 2018 has joined his grandmother, Yvonne, in heaven. Konner Fox has left his family to celebrate his life in heaven. He leaves his mother, Janita Fox (Danny Chief Calf) and his father, Royston Hawke; his grandpa, Lambert Fox; his oldest brother, Sage; Ray James; older sister, Starlight; Jareda, baby sister Keele, Alec & Daisy, Rochelle & Brett, Danielle & Brett; his uncle JR, who was his father figure; his aunt Juliette (Tim), his uncle Jonathan; his favourite aunt Sherry Pard; Sheena Nolan; his favourite cousin Alethea Juliette Black Plume; his loving godmother Diana Weaselfat, and his godfather Mike Fox. Konner attended Cardston High School and was moving into grade 12. Every school day morning his hair needed to be braided, only by the people he trusted and loved. He always looked forward to going to school every year since he was in pre-school. Konner was always the one who made the family laugh with his crazy sense of humour. From his tall warm hugs to walking slower because he walked so fast with his long legs. He loved to travel and loved to shop to find different items that were not in Canada. He learned carpentry from his great uncle Charlie Fox. Konner’s passing has left a big hole in our family. He leaves with his imaginary diaper bag. His beautiful smile. His long braided hair. We welcome family and friends to attend the wake service, the funeral, and the feast following the church service. 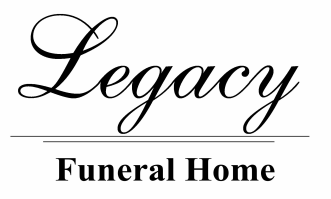 A Wake Service will be held at the Lambert Fox family residence on the Blood Reserve on Thursday, July 26th from 5:00 pm continuing through Friday night. The Funeral Service will be held at St. Paul’s Catholic Church, Brocket, AB on Saturday, July 28th, at 11:00 am.